Last week my friend would have celebrated her 31st year on this earth. Instead her family and friends reminisced and mourned a life cut far too short. 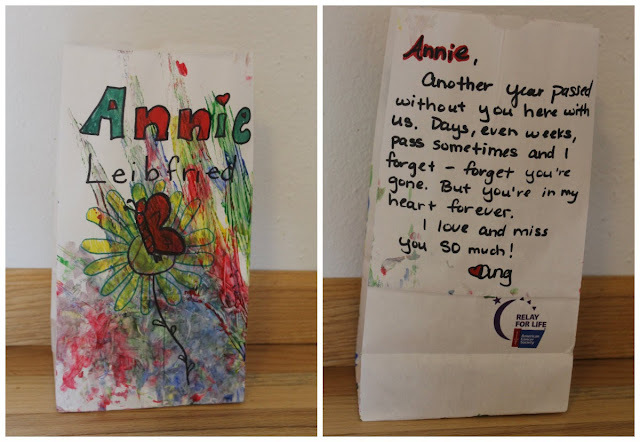 Cancer stole Annie from us, like it has so many others' loved ones. This is why we walk through an illuminated path of luminaries every year, each decorated paper bag representing a life affected by the disease. 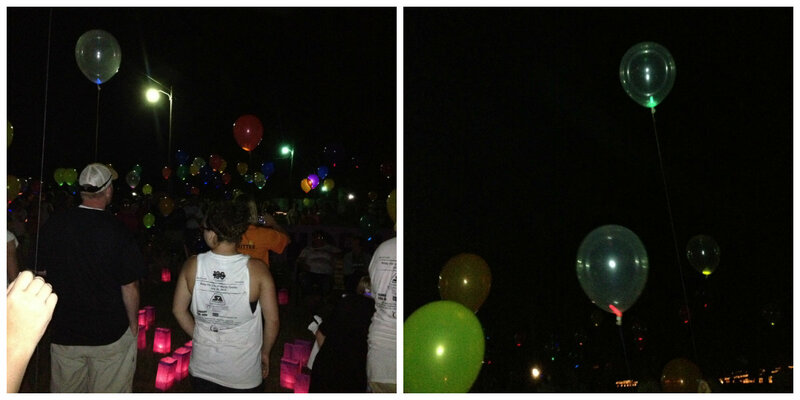 We walk among these cancer survivors and for its victims, celebrating the lives saved and honoring the ones taken. We walk with purpose. We walk with optimism. We walk with the hope that someday no one will hear the life-altering diagnosis. This is our walk of hope. 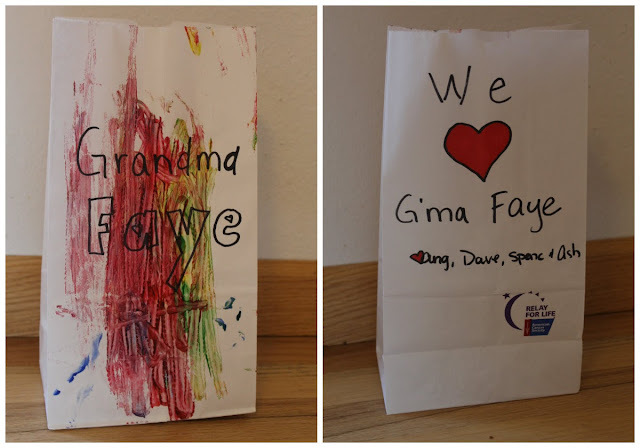 Since cancer has settled into my family's gene pool and made a home for itself in my loved ones organs, we dedicate ourselves every summer to raising money for cancer research through the American Cancer Society's Relay for Life. 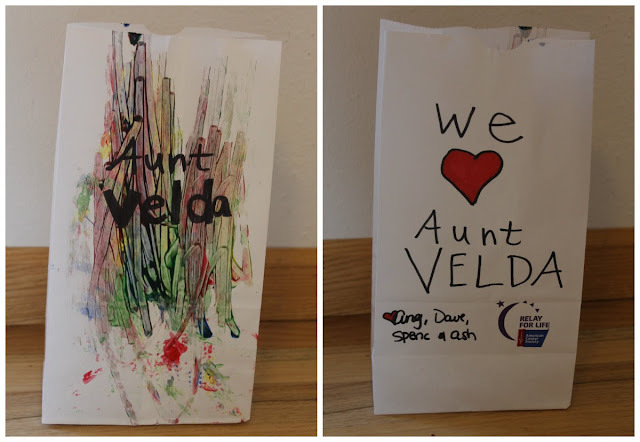 This year my mom joined the list of survivors on our team, donning the purple shirt that signifies a victory over the cruel disease. 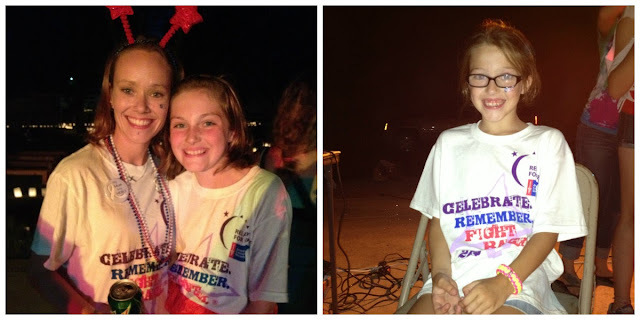 Four survivors walked with us this year; four purple shirts sat at our site--proof that our fight isn't in vain. If cancer is like a battlefield, then we're currently winning this war. 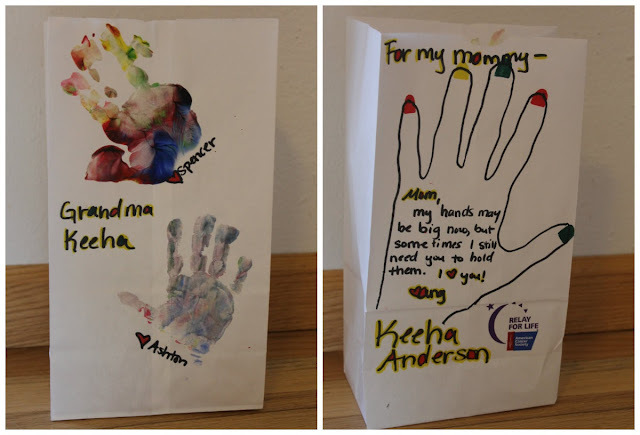 Spencer and Ashton decorating the luminary bags. Our team's theme was the 4th of July. 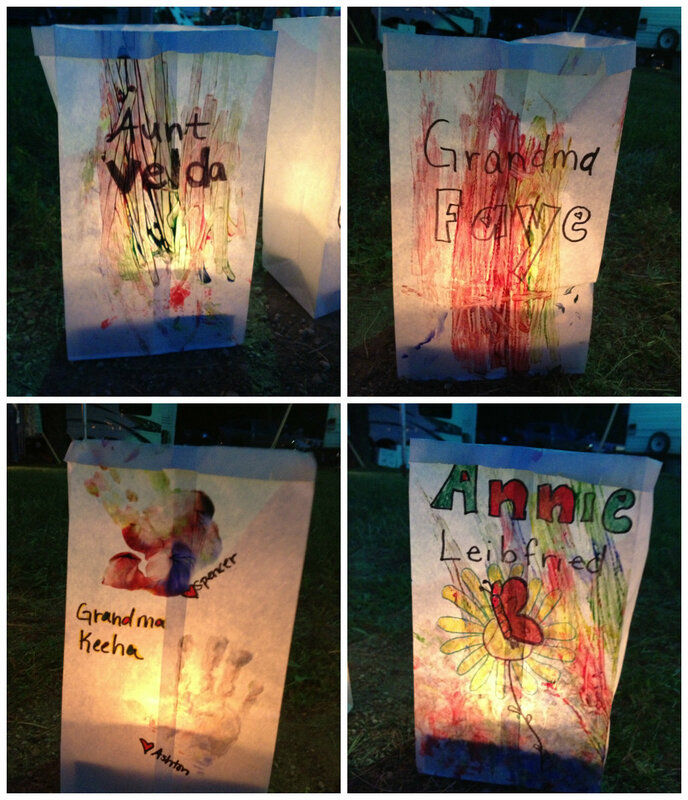 A random luminary in honor of Annie, pictured with her young son. Proof of the magnitude of love for Annie. The survivors announcing their name, cancer and number of years cancer-free. l. to r.: my mom's first survivor announcement, Grandma Faye, Aunt Velda. My little sister Sheila and me. 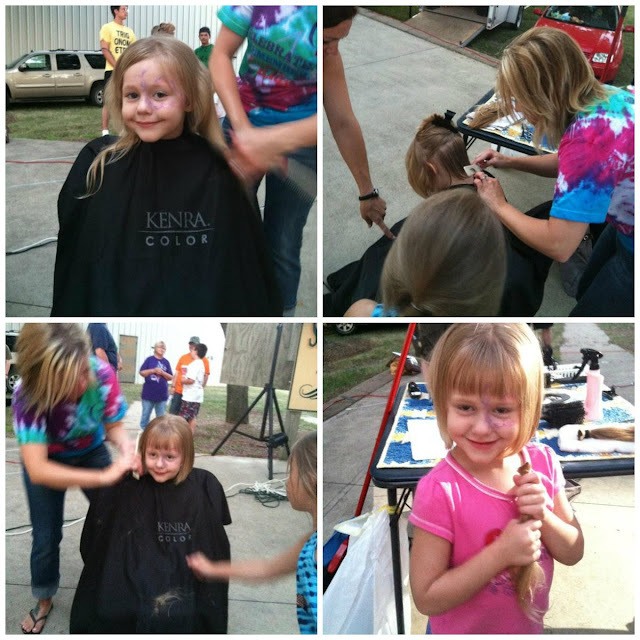 My cousin's daughter, Violet, getting her first haircut and donating it to Locks of Love. 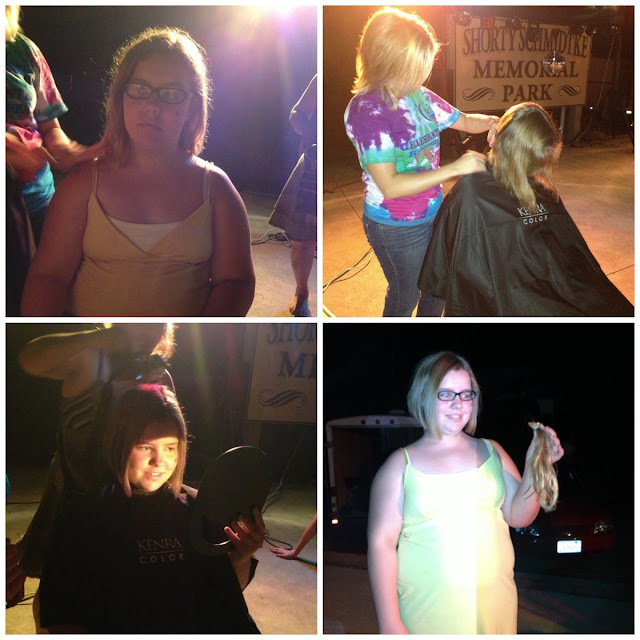 My niece, Kaylie, donating her hair, too. Left: Sheila and my niece Olivia. Right: my niece Sydney all fired up to donate hair....until she discovered it wasn't quite long enough. We made one final silent lap around the lit luminaries carrying balloons filled with glow sticks, before letting them go.